Just a quality of life improvement: it would be really nice if we could drag animations into the animation tab to create an animation. It could take the animation name from the file name. I'd like to see some automatic configuration around this (if it doesn't already exist) based on a naming convention. Perhaps open the model and click one button that brings them all in with the same name and an underscore or perhaps the @ which is popular format for this kind of thing. Perhaps a dialog that shows all them and you can multi-select which ones you want to add. 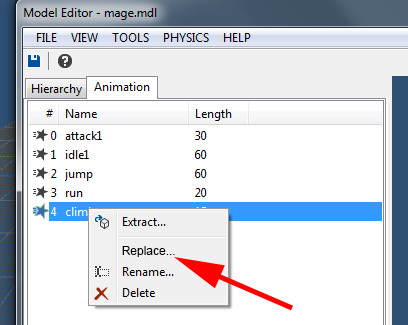 So what you are asking for is what you can currently do within the Model Editor with the File>Load Animation dialog except you want it to be able to multi-select instead of one at a time. Yeah. Just more of a batch load vs individual. When there are 10+ it’s just tedious. Should be easy really. That file select dialog should support multi-select actually. Being able to replace an animation would save time too, not needing to delete the old animation and rename the imported animation from Take 001. Next one and this is important to me: be able to reimport the base model without destroying all the animations. I think this one may have been requested before. I changed the mage's weapon but that didn't need to change the animations in any way. But all the animations were wiped and I had to spend time reimporting them. 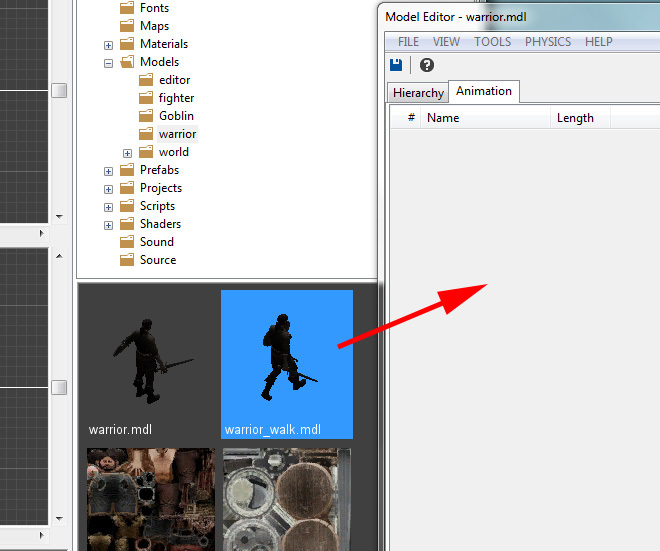 Leadwerks should detect that you already have animations in the model and ask if you would like to keep your existing animations. Pretty sure Josh said he's not working on LE4's editor because it's not carrying over to LE5. Yeah, I think you're right. But things change and even if not, it's worth considering for 5.